I’ve been going back through some of my image archives and looking for imagery to convert to black and white for possible submission to the Black and White Spider Awards Photography competition. One image that strikes me well is the image from my previous post. With a little work in Lightroom, it was converted over into a beautiful black and white image. What do you think? BW or Color for this image? 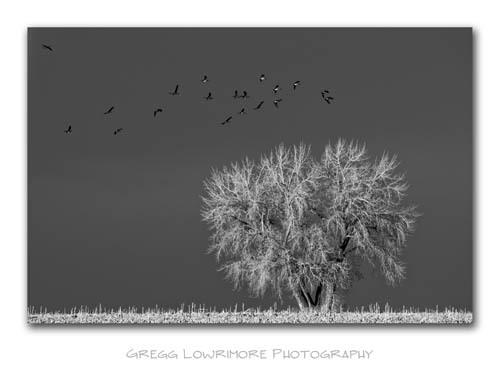 Posted in Landscapes and tagged corn fields, cottonwood, geese, stormy clouds, sunset by greggl with no comments yet.